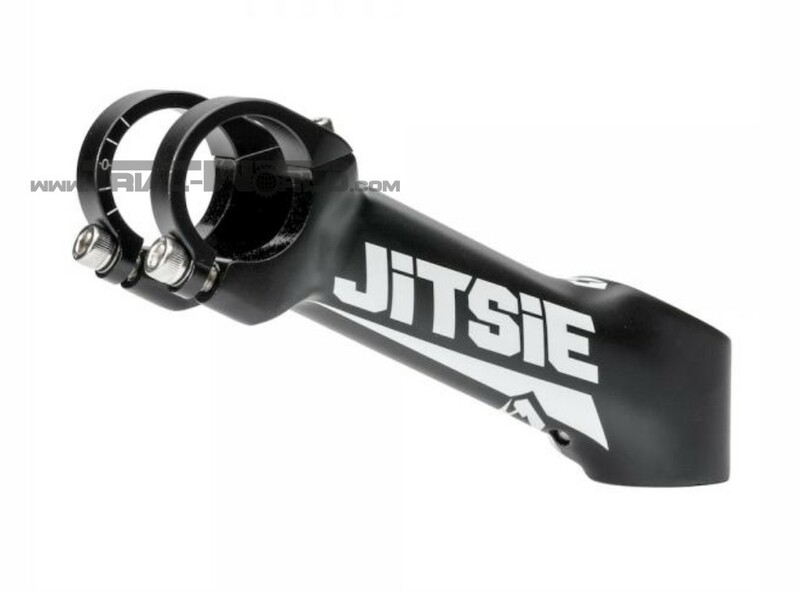 The new forged Jitsie Race 35° stem is made of 7050 aluminium and comes with some special features on the clamping. 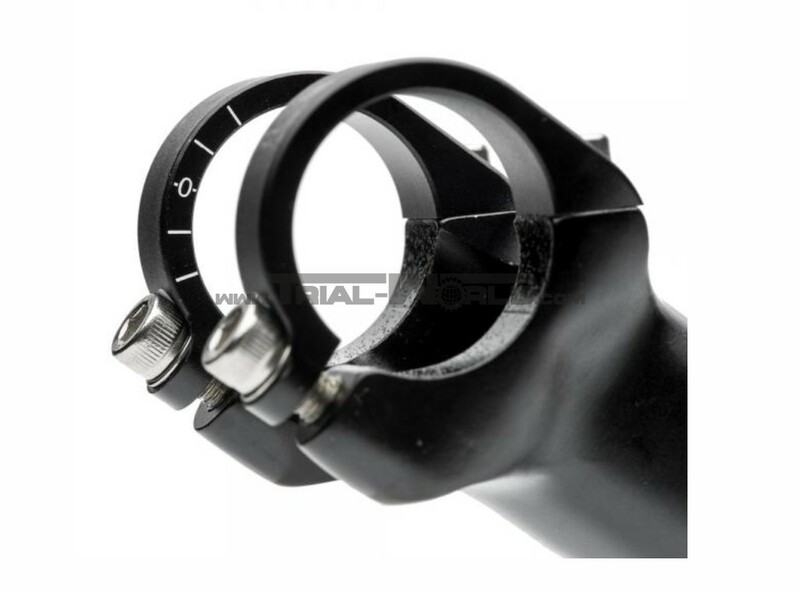 The four bolt handlebar clamps are CNC machined and very slim and elegant, without any sharp edges to avoid any injuries. Additionally the clamps have alignment marks which allow to reproduce the optimal handlebar position. 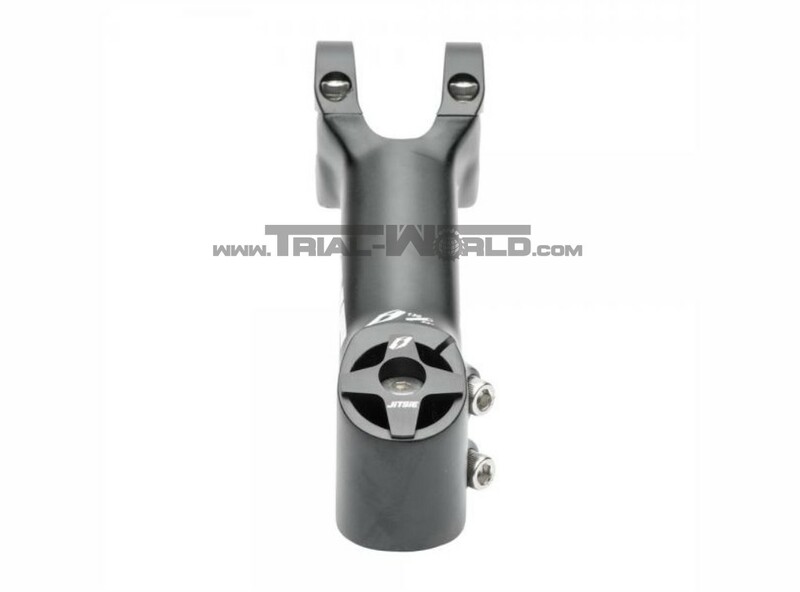 The stem body has an anti-slip treatment on handlebar clamp area to avoid handlebar slippage. Jitsie is pursuing totally new paths about the fork clamp. 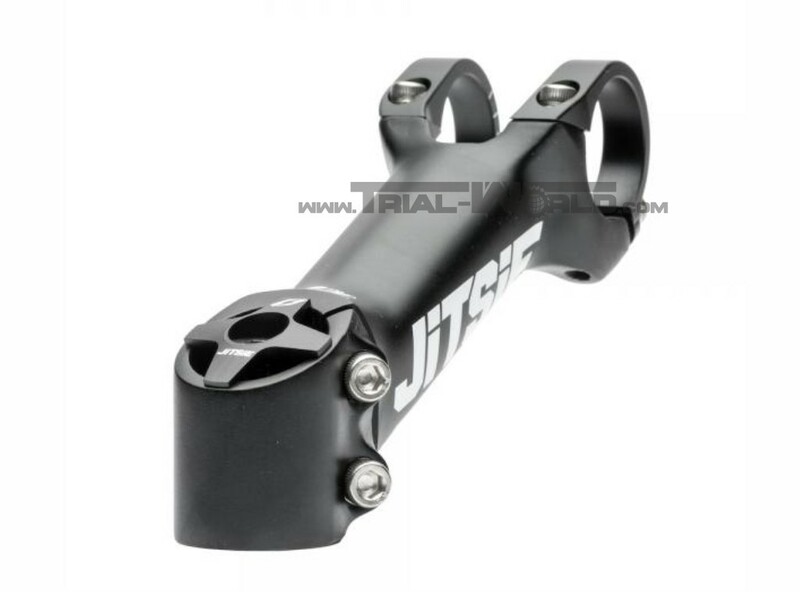 For the first time the fork clamp is positioned on the side, to avoid any painful collisions of your knees. Note: First tight the upper bolts gently until the clamps rests ont the stem. The real clamping follows by the two bottom bolts! Available in length of 150 and 175mm. A topcap is part of supply.